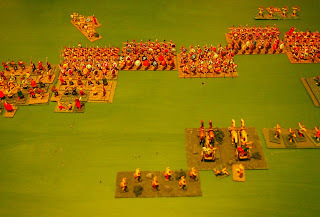 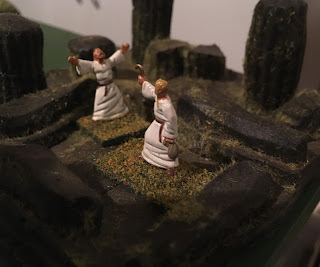 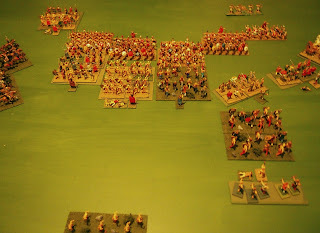 The last of the games that Mark and I played back in June was another game of ancients. 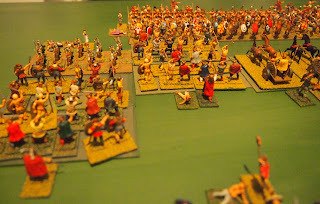 This was a surprise for the Celts! 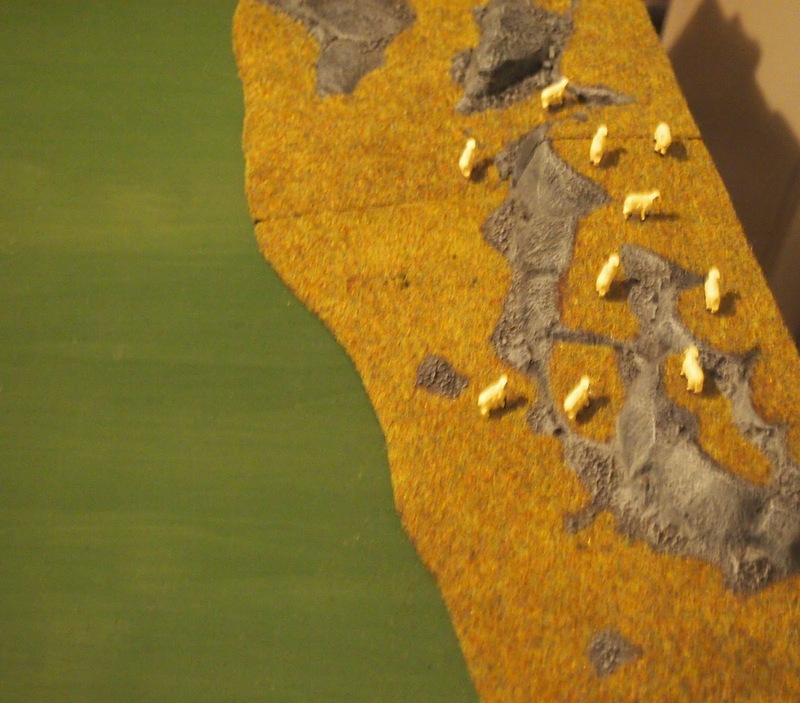 ... the sheep continued "harmlessly passing their time in the grasslands awaaaay!" Peacefully oblivious of the human struggle that was about to play out on the broad plain below their quiet hillside home. 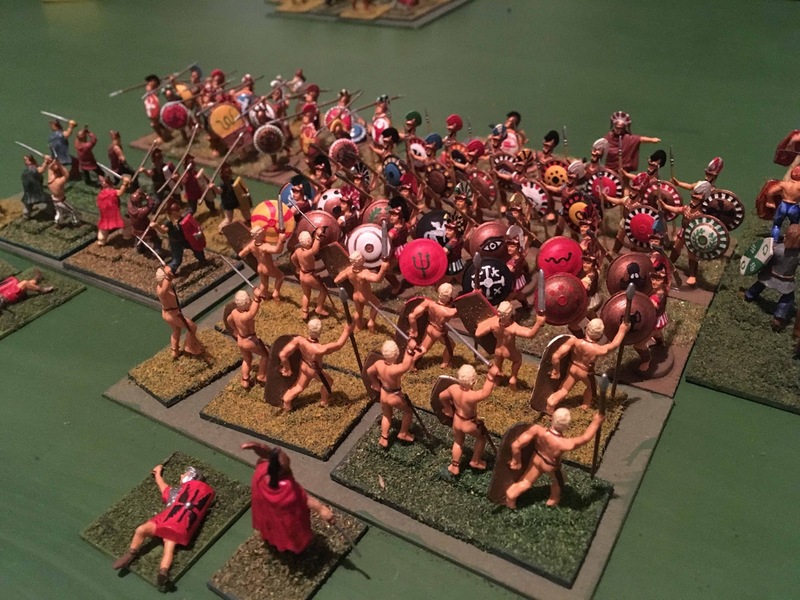 The Celts (above) eager to come to grips with their Greek foes (below). 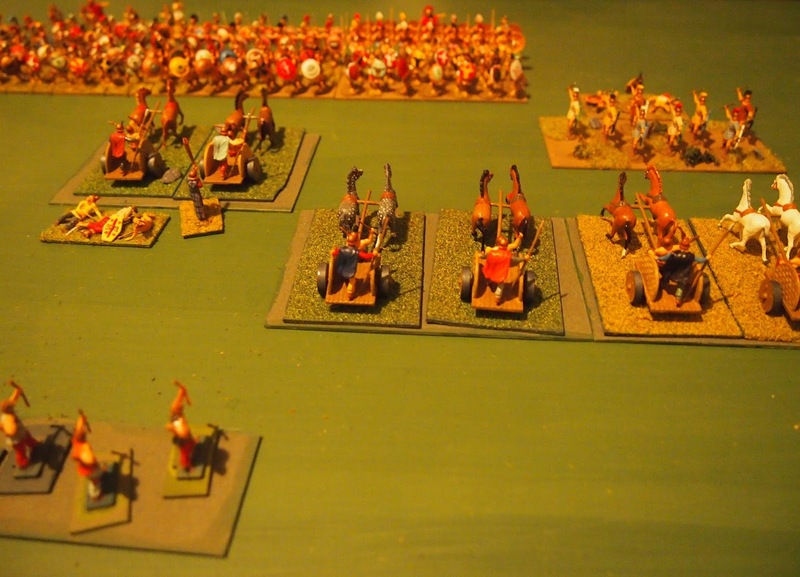 So they came on, lead by their chariots and a few warbands, the bulk of the latter in the second line with their chieftain. 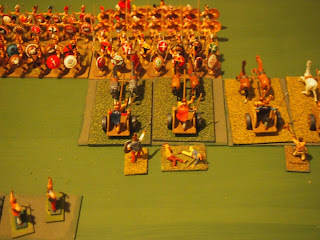 On the left the cavalry were the first to come to grips, albeit indecisively. while the chariots hurtled towards the hoplite phalanx—not the best of ideas! 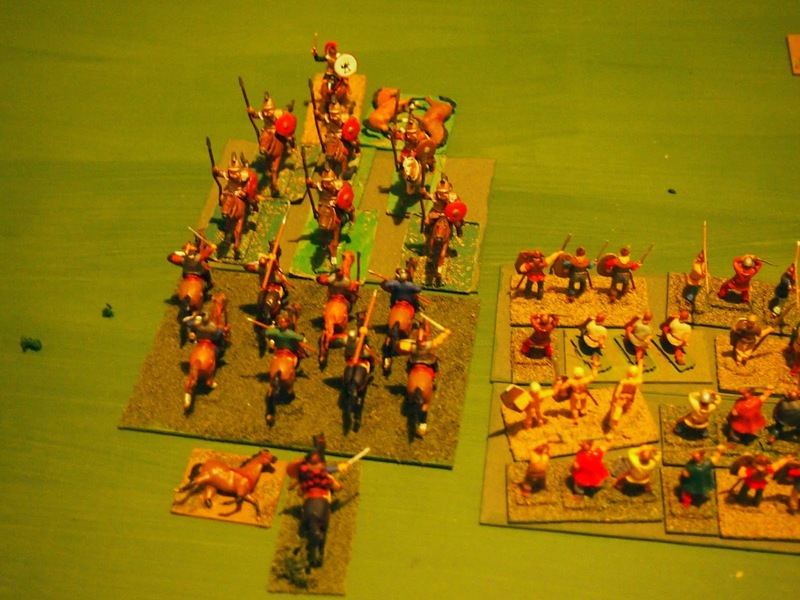 Eventually the Celtic horsemen on the left overcame their adversaries. 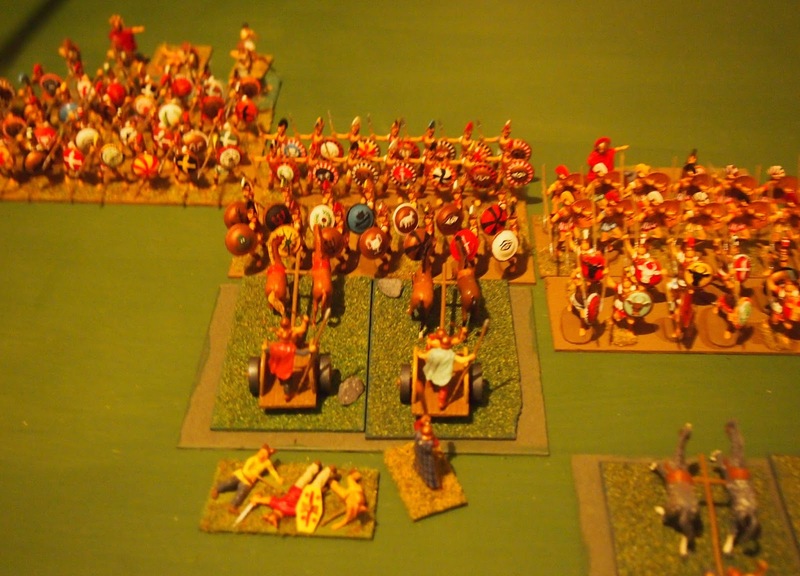 The chariots found the hoplites were not at all intimidated by them and barely affected by their throwing javelins. The Celtic front line was breaking up, so victory would need to be achieved by the warbands behind. 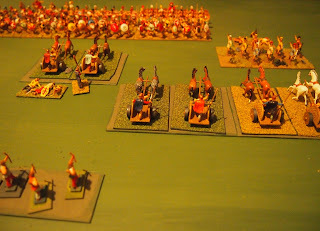 The chariots were soon dispersed by the hoplites. 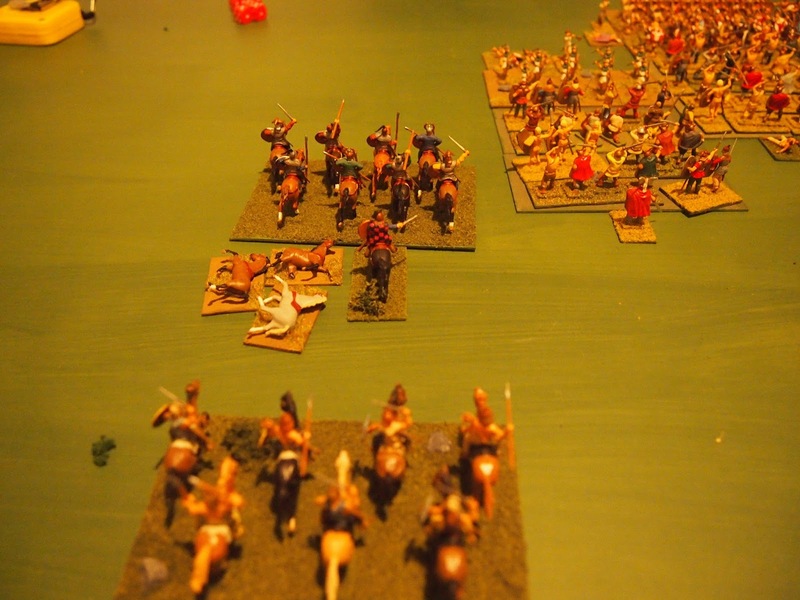 They began to have the better of the fight. 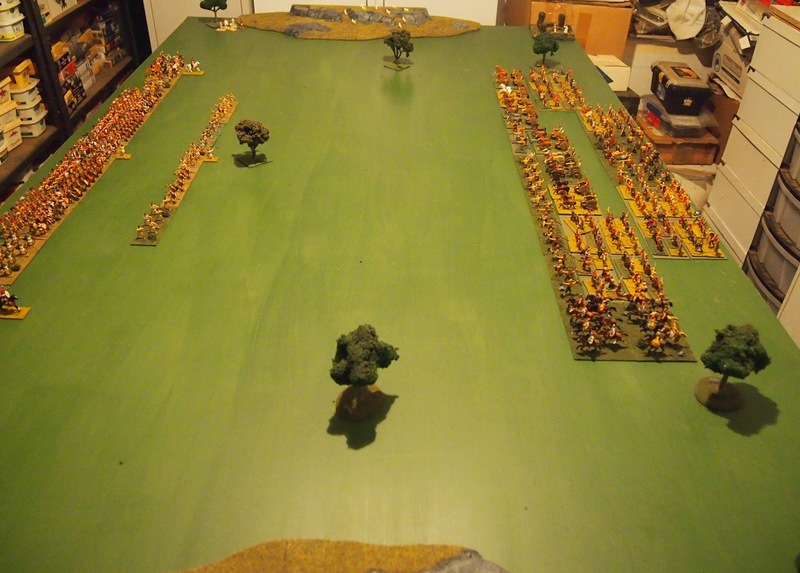 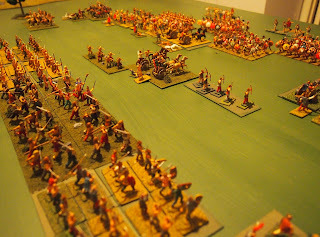 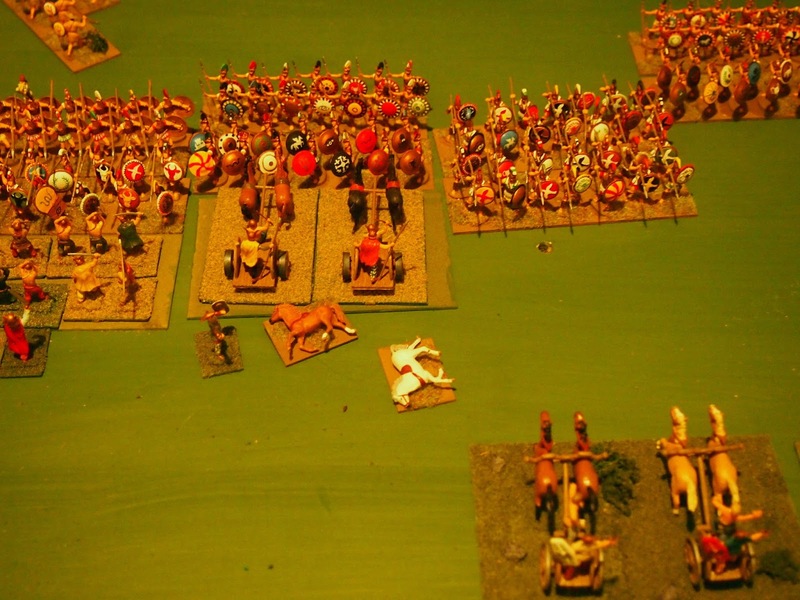 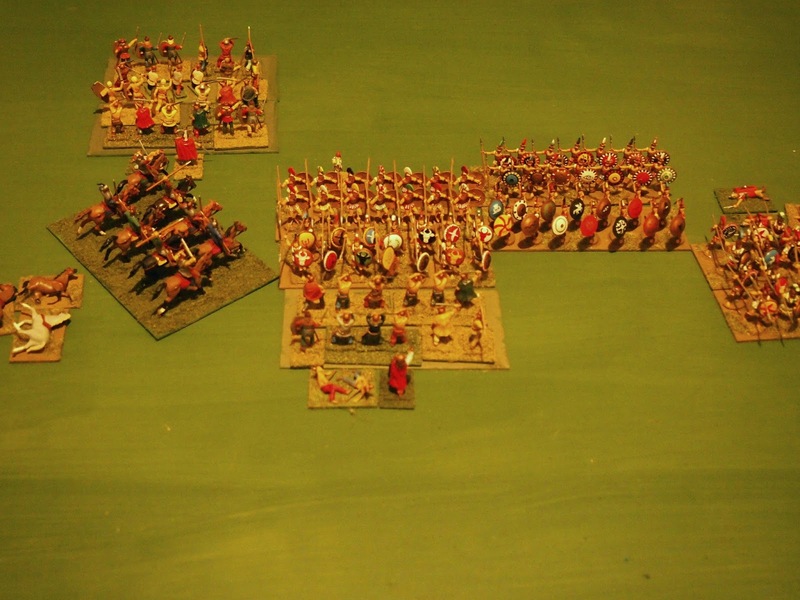 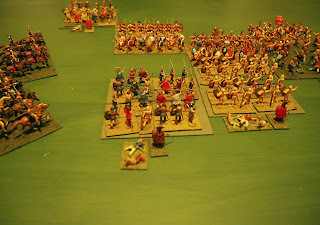 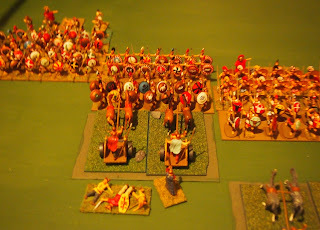 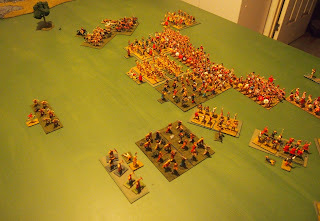 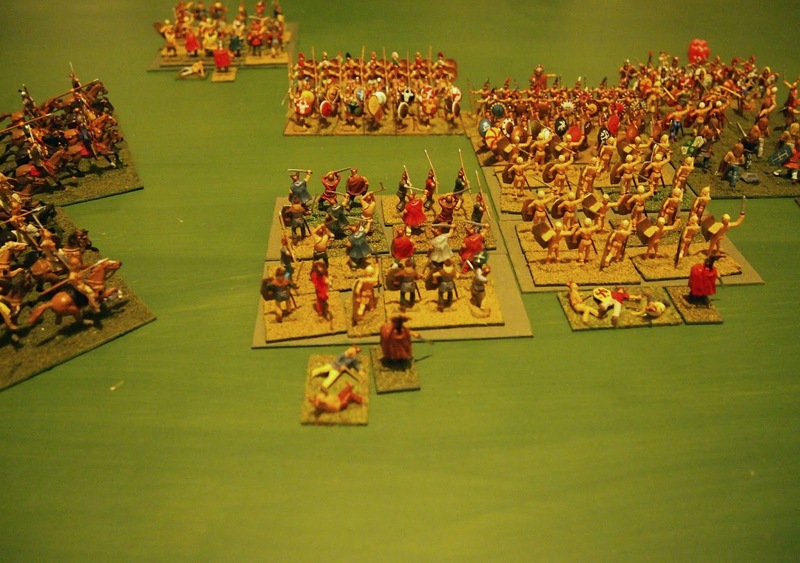 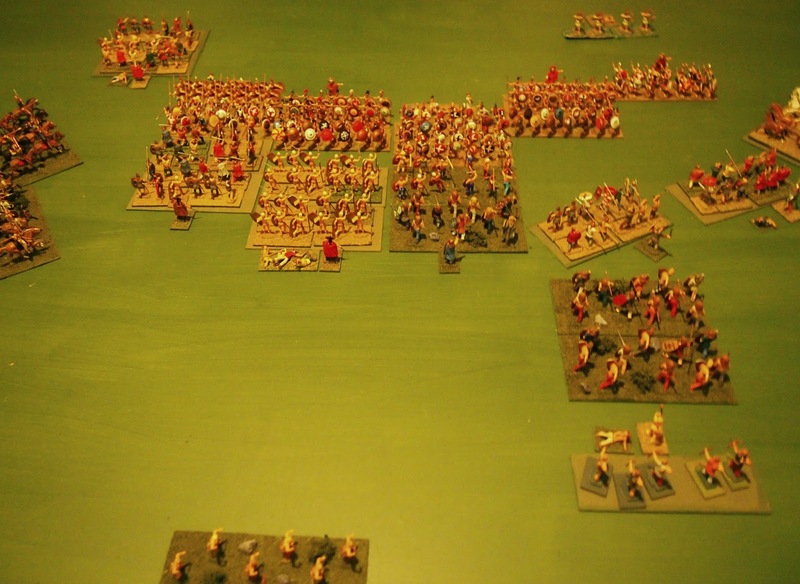 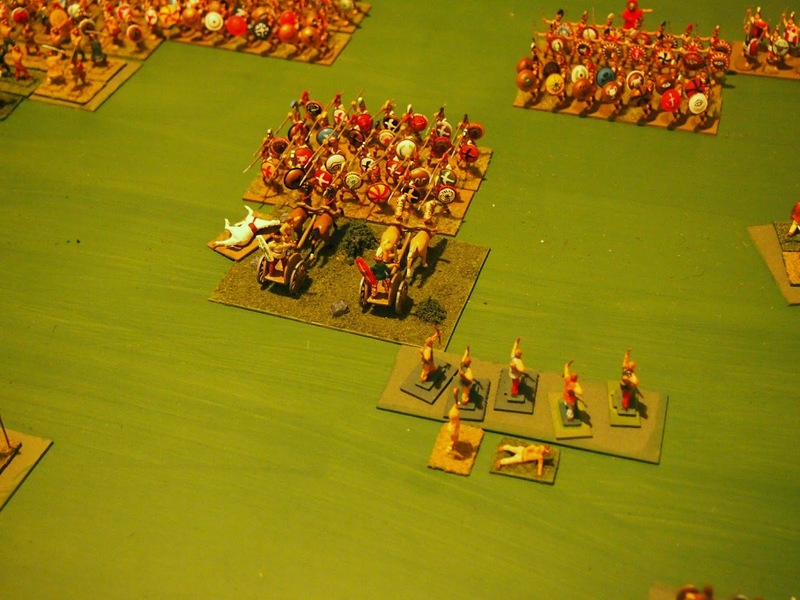 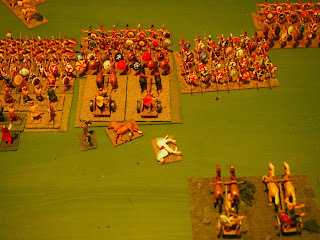 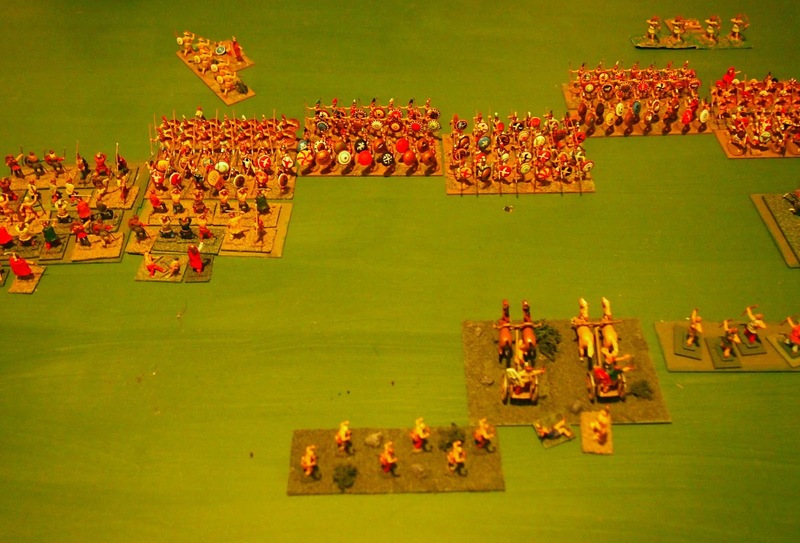 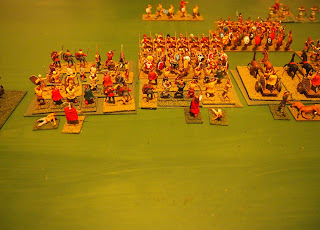 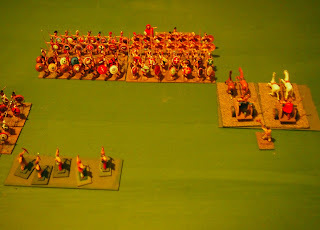 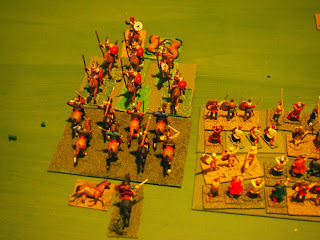 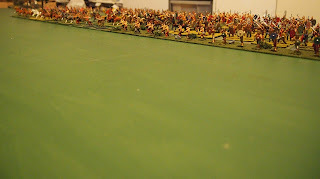 but the victory of the 'regular' warband to their left tipped the Greek army to their breakpoint. A tough, ebb and flow battle but, with a bit of luck on their side, the Celts were victorious! 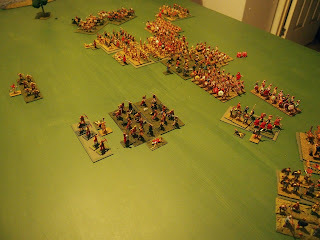 That concludes the series of brief reports of our games from back in June. Back in September, I posted some photos of damage to books that I'd received by mail and the subsequent sub-standard response from the shop, of which I'm now a former customer. 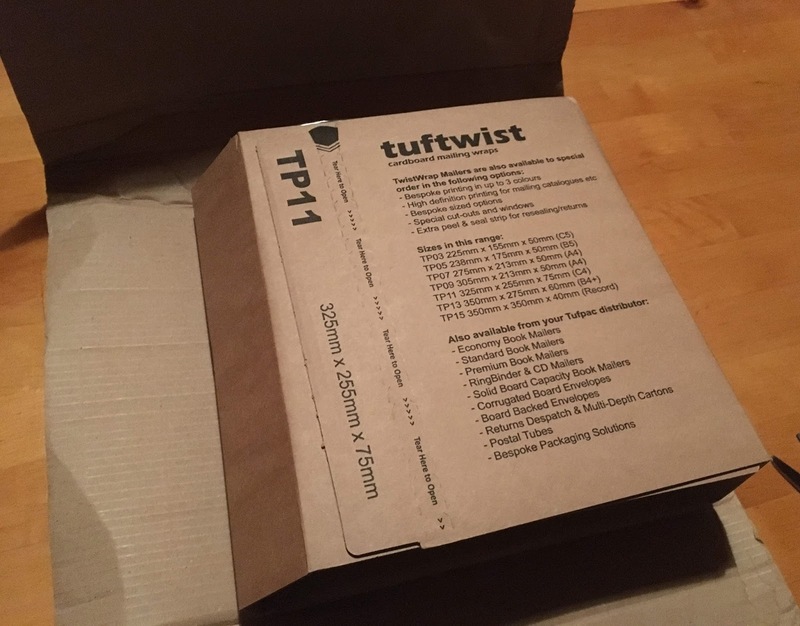 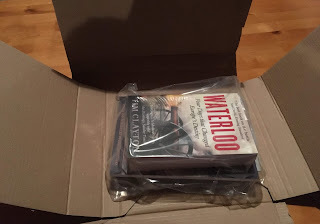 By contrast, check out the photos below of a suitably packaged order from the good people at Naval & Military Press. 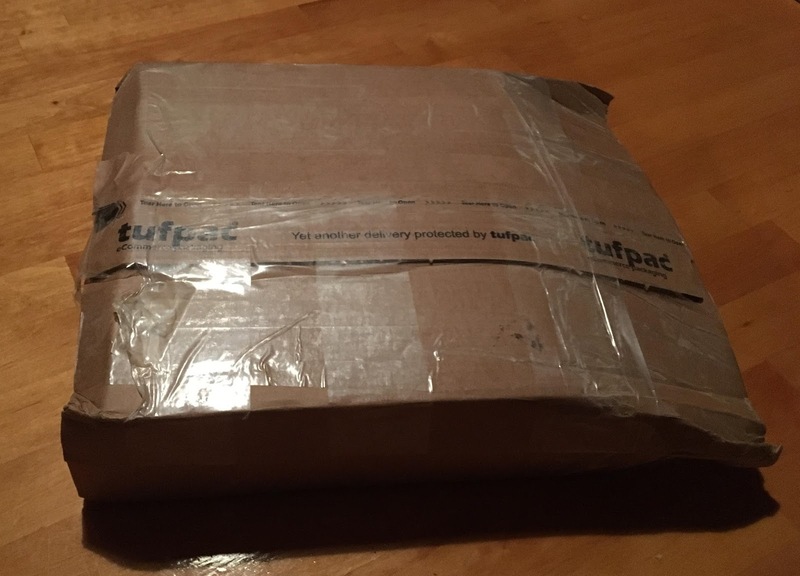 ... plus they were placed in a plastic bag, to keep them together and protected should any damage occur to the packaging. 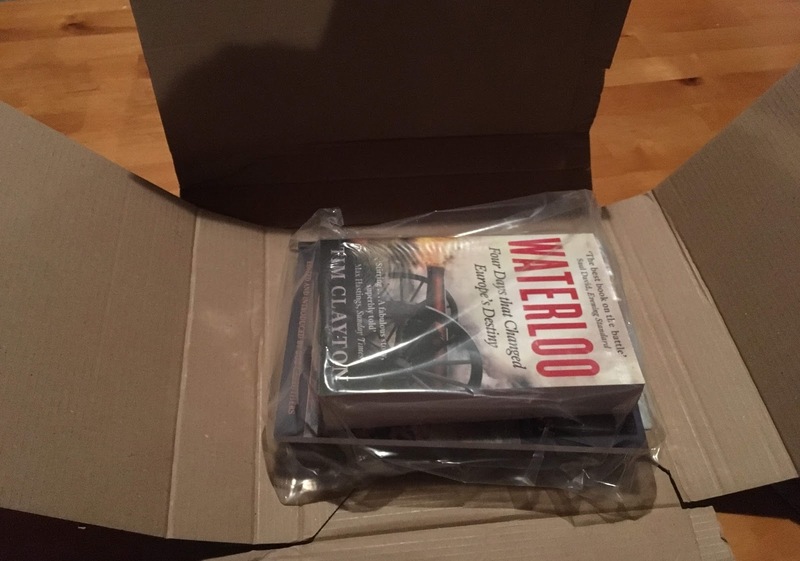 This package contained books for which I paid a mere two to three pounds each, plus 8.35 p & p, but the packaging was far, far superior to those that had cost me ten times the price! 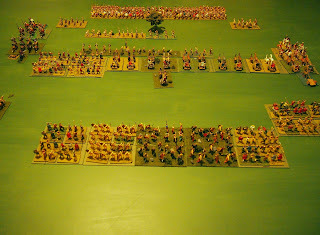 Congrats to the Celts...and to you, a wonderful looking game James! Greeks and Celts - a bit like Etruscans and Gauls. 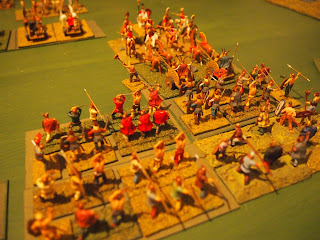 Fine looking game, even if not an auspicious one for the Chariots! Yes, flexibility is the name of the game with these ancients, at least for us. 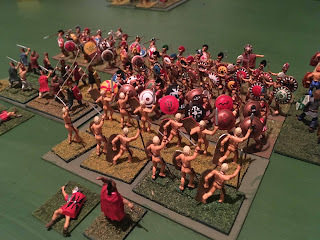 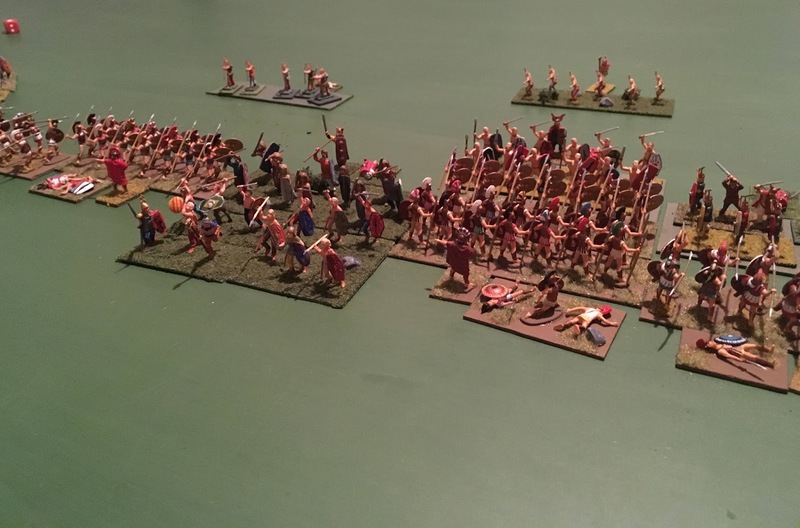 With what we collectively have, principally thanks to Mark, and will have, we will be well placed to do almost any game of battles around the rise of Rome and early empire (and a few earlier too). 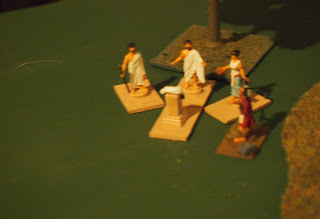 Mark is working on more Samnites and Greek-successor-types. 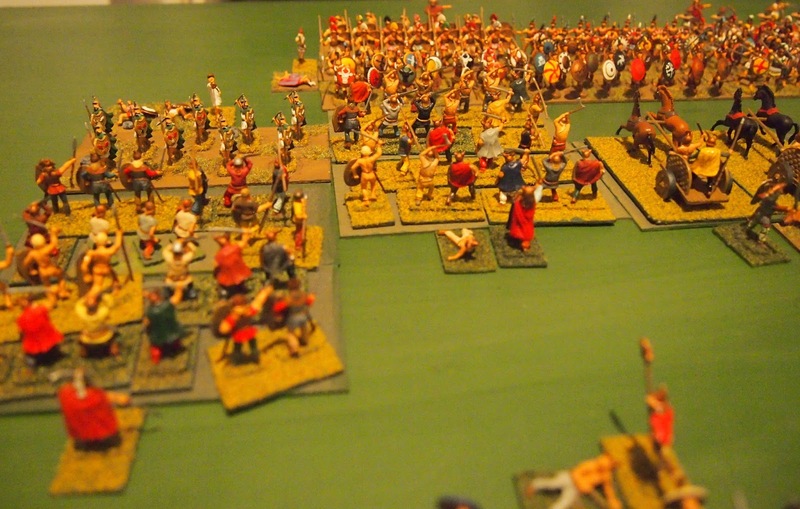 We should be able to do one of those battles of Greeks v Celts (Gauls) of around 279 BC in the not too distant.